You’re on a long road trip with a good friend and you instantly notice your friend (the driver) is having difficulty holding a steady speed of 65 MPH. The car speeds up to 70 MPH and then down to 60 MPH, only to start the climb back up to 70 MPH. The two extremes average out to 65 MPH but you’re beginning to get car sick from the constant speed oscillation. Your long anticipated road trip just became a nightmare. The fix is simple. 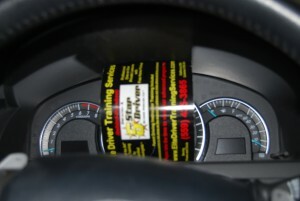 Cover the speedometer so the driver can’t see it while still being visible to the driving coach. 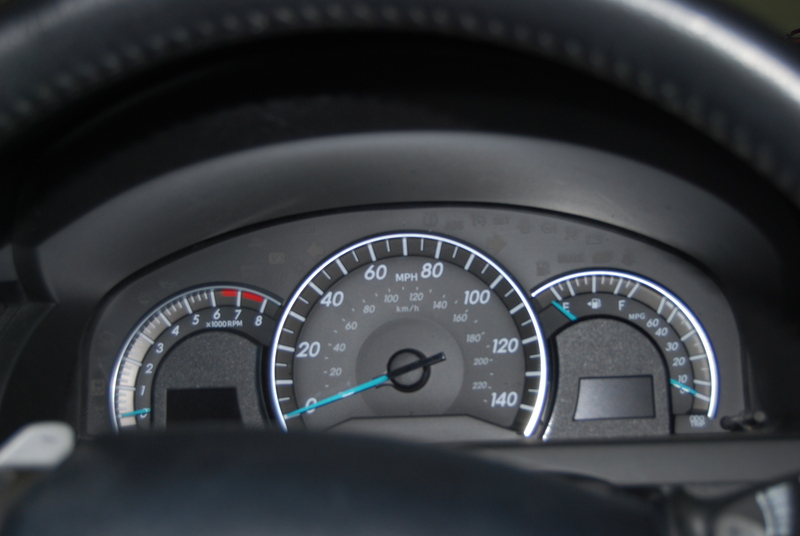 The driving coach now becomes a “human speedometer” and the driver will stop oscillating their speed. The driver is now forced to hold a steady speed by being aware of the sensations of acceleration, deceleration, and holding a steady speed. Some students become aware of these sensations right away and others take a few hours of driving until they can feel these sensations but the driving coach has to be fully engaged at vocalizing the speed of the vehicle. 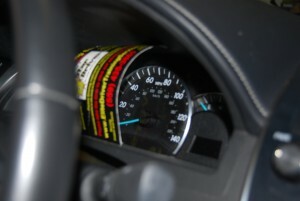 After thoroughly teaching this method to my students, I’ll cover the speedometer and ask them to go a specific speed. Over 90% of my students will be within 2 MPH of that speed without ever seeing the speedometer. The speedometer becomes a “secondary check” of their actual speed while using their “perception of speed” to get close to and maintain a steady speed. 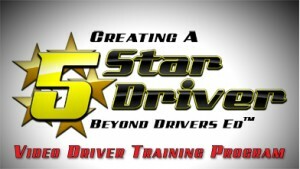 I hope this helps and please feel free to check out my new 5 Star Driver Video Training DVD’s for more advanced driver training strategies. This entry was posted in Uncategorized and tagged Accident Prevention, Distracted driving, Driver Education, Driver Training, Driving School, Parent Driving Instructor, Safe Teen Drivers, Teen Drivers License, Traffic Accidents by admin. Bookmark the permalink. Thank you for this info! My spouse does this and it frightens me. I thought she was nuts or I was paranoid. I am NOT going to tell her how to drive, but at least now I understand why it happens.